Shopping is one of the must-do activities in Hong Kong, in fact, a trip to the Ladies’ Market or Temple Street Night Market for souvenirs is right up there on the to-do-list in Hong Kong with a trip to the avenue of stars and Tsim Sha Tsui Promenade to see the spectacular city skylines. 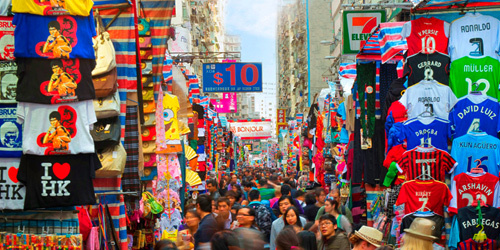 But what are the places you could visit in Hong Kong that offer a great shopping experience? Let’s run down a list of four shopping destinations in Hong Kong starting with the Ladies Market and the Temple Street Night Market. Clothes, accessories, and souvenirs are some of the things you could get when you visit Ladies Market on Tung Choi Street. From the name itself, you can be assured of finding a ton of ladies wear in this market. You could get shopping bags, cosmetics, costume jewelry, and even ladies’ underwear. But you’ll also be able to get the perfect Hong Kong souvenir to bring home with you. Looking for an “I Love Hong Kong” shirt? Search among the hundreds of stores along the 1 km stretch of the market and you’re bound to find what you’re looking for. Be wary of fake products being sold at the market, although I’m sure you’re wise enough to avoid buying a “real” Louis Vuitton bag from a stall. Located in Jordan and Yau Ma Tei in Kowloon, Hong Kong, Temple Street Night Market is a must-see place if you want to hear opera singers while getting your fortune told. Haggle hard for souvenirs, electronics, watches, and jade jewelry with a tasty takeout treat in your other hand. You could get to Temple Street Night Market by getting off the nearest MTR stations at Jordan or Yau Ma Tei. If you’re looking for Chinese antiques, you need to go to Cat Street on Road and Upper Lascar Road in Sheung Wan, Hong Kong Island. The nearerst MTR station is the Central Station and once there, you could look for antique furniture or knick knacks from the Cultural Revolution. You can also shop for jade, silk products, and handicraft items on Cat Street. If you’re itching to grab a bargain on electronics, Apliu Street Flea Market on Sham Shui Po in Kowloon is the place to go. You could get brand-new and second-hand electronics there or even antique coins and watches. Go to the market by getting off at the MTR Sham Shui Po Station, Exit C2. Don’t Forget to Bring Cash and Your Credit Card When Bargain Shop in Hong Kong! 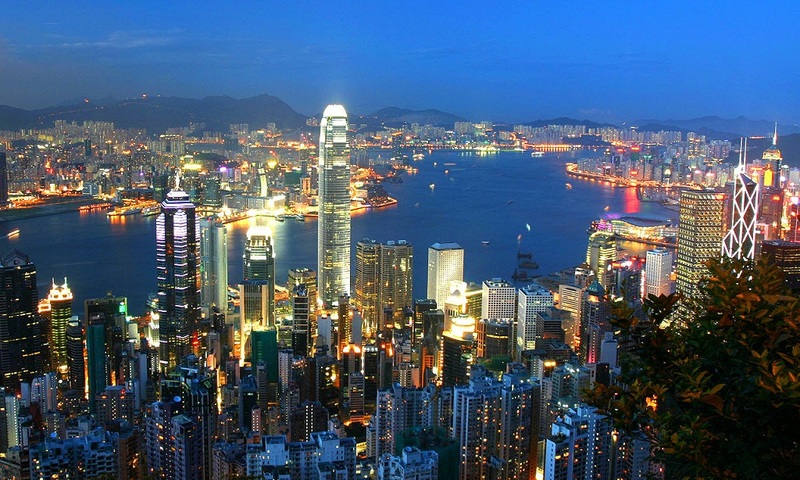 Ready to explore Hong Kong and take advantage of the many shopping places there? Don’t forget to bring your cash and credit card. Cash is always readily accepted by the vendors at the stalls at these markets but I’m sure your shopping trip will take you to Hong Kong’s many department stores where your credit card will be more readily accepted. You could also use your credit card at the many hotels and restaurants around Hong Kong so you don’t have to carry too much cash with you. This article by Money Hero, a Hong Kong’s leading financial comparison website. Compare a broad range of financial products, from credit cards to travel insurance plans. I recommend finding a hotel on the Island, but if you are looking for a slightly cheaper hotel then look on the Kowloon side of HK. The price of a room in a hotel is pretty expensive, compared to the rest of the world. Be prepared for hard beds in the hotels, it is just how beds are in Hong Kong. There meant to be good for your back. Take the train up to the top of the peak or take the bus (a little scary, but great views). The train and buses can be found in the central district. The view from the peak is stunning if you are lucky with the pollution level. You can get a great view of most of the island from the peak. It is practically spectacular if you are up at the Peak during sunset, when the skyscrapers turn the lights on. Mongkok Night Market. Mongkok is on the Kowloon side of HK, there is actually 2 markets in Mongkok that are both good, and are close to different MTR line exits. If you love shopping then this is the place for you to visit, You can find lots of cheap clothes and electronics in the market, you have to remember to haggle a little bit to lower the price. Kowloon Bay, It is worth going over to the Kowloon side of the bay and looking at the HK Island, they do a light show every night at around 7-8 pm and it is an awesome sight to see. 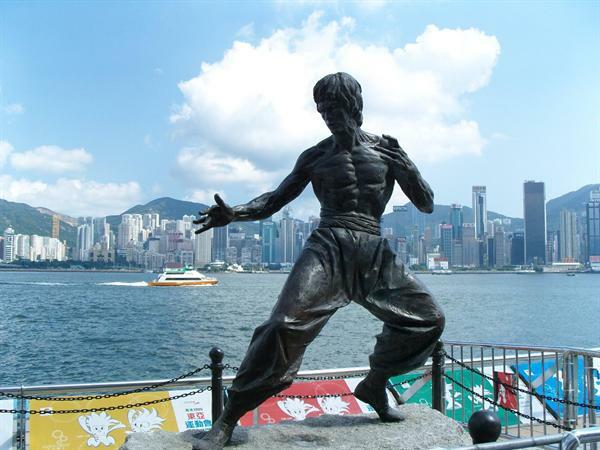 At the same time you can take a look at the bronze statue of Bruce Lee. Beaches; there is plenty of beaches in HK, some are on the Island and the others are on the Kowloon side and are outside of the city. The beaches closest to the city, are very nice. The Beaches are around Stanley region of the island and are lovely and easy to get to by bus. A little bit more difficult to get to are the beaches and islands around Tia Po.What you are probably thinking at the moment is, isn’t the water really dirty and polluted, and the answer is yes. But it’s not as bad as you imagine and if you are over there in the summer months then you will be happy to get into the water. The water is very salty and warm so it is easy to float. When I lived there I went into the water dozens of times and I didn’t get any negative effects. The Tian Tan Buddha or the big Buddha is located on the Lantau Island, what is also where the airport is. The Buddha is made from brass and it was made in 1993. It is one of HK must attractions and is very much worth a visit. Hiking; you may be surprised to hear. There is actually a lot of hiking to be done in HK, once you get out of the city hub. The rest of HK is perfect for a hike up the hills. You can reach most destinations by bus and a beach is at the end of the walk. Macao: Technically Macao is not in Hong Kong, but it is about a 1 hour ferry ride away. It is known at the Las Vegas of Asia, with a lot of the casinos in Las Vegas, having a similar if not identical casino on the island. Macao used to be a Portuguese Colony, and you can see the differences that the Portuguese have made to the Island compared to the English in Hong Kong. If you take a walk through the town and up to the ruins of the church, then you will see some beautiful courtyards that you would expect to see in Portugal or Spain. The last activity is my favourite in HK, It is going on a junk boat. It entails hiring out a boat, normally with about 30 people on-board with you. They come with staff and driver. Often the people are friend-of-friends, basically if you have been invited by someone, then you can invite people to come as well. Often you only know about 5-10 people on board. The boat then heads out off the harbour and around the coast to a secluded part of HK and drops anchor. Often you take a small speed boat as well and once anchored everyone goes banana boating, wakeboarding and other activities, or they just jump into the water. Food and drink is provided on the boat and everyone has a blast. It is a great day out. In Hong Kong there is lots of great restaurants from across the world, the majority are Chinese or Asian. The best thing to do when looking for a restaurant is, do what the locals do. Use the website OpenRice to look for restaurants that are in HK. The best thing about the website is that you can sort the restaurants out by price, area, and type of restaurant. So explore the site and find some restaurants that you want to eat at. Another helpful bit of advice for ordering in restaurant most of them will have a picture menu. But you can also just point to what other people are ordering, it isn’t rude to order your food like that. About Author: Oliver Smith has spent an extensive amount of time living in Hong Kong. He is a travel writer working with CoverMore. He is currently living in Beijing. 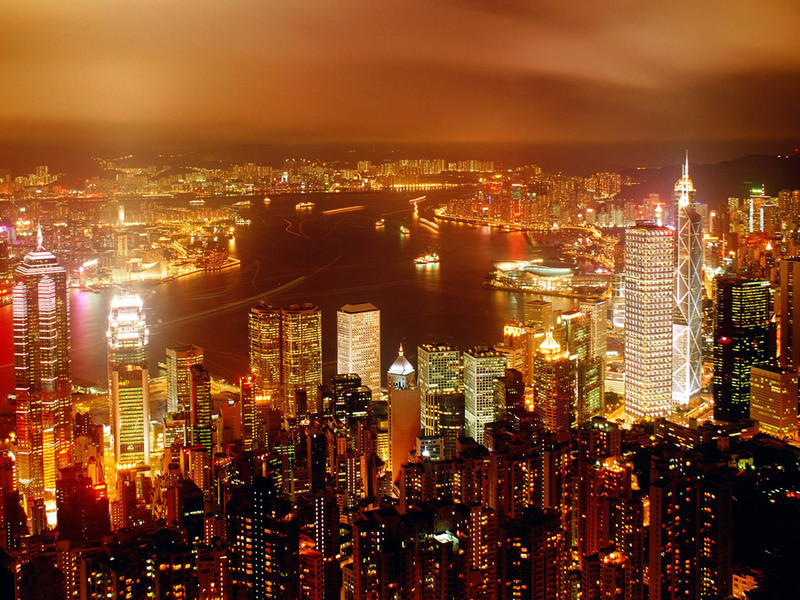 Take out Quality Travel Insurance before discovering the wonders of HongKong. The views, opinions and positions expressed by the author and those providing comments are theirs alone, and do not necessarily reflect those of Cover-More Insurance.